Our grass-fed and grass-finished beef is available at our Spring and Fall freezer sales as well as select retail events throughout the year. Our beef is frozen and vacuum sealed. We sell a variety of steaks, roasting cuts, ground product, and utility cuts for stew and stir fry. You can download our Spring 2019 order form now (or visit our F.A.Q.) for more information on how to purchase our beef. Any beef sold under the Warren Wilson label has spent its entire life on our farm. Animals are born on the Farm in the early spring. Calves graze lush summer pastures alongside their mothers until early fall. Calves are weaned to allow their mothers a long rest before their next calf, and to get the calves grazing the most nutrient-dense forage on the Farm. Weaned calves receive a set of vaccines appropriate for our area. 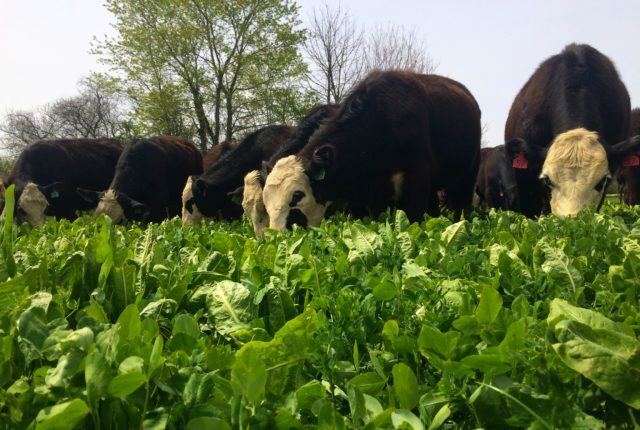 Growing animals graze protein-rich mixes of grasses and legumes using management intensive grazing strategies through the Fall, and then transition to stored feed made on the Farm for the winter. In the Spring, animals receive a de-wormer before being turned out to spring pastures to commence the “finishing” stage of their lives. Our beef animals eat nothing but forage and a free choice mineral mix. Our beef offers an exceptional amount of marbling, and we can attribute this to our high-quality forage and grazing program. 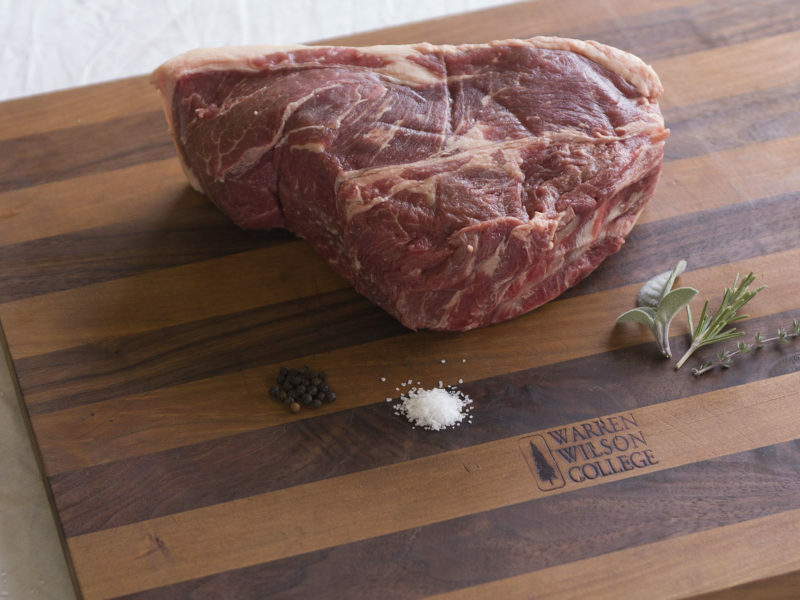 Our beef reaches finishing weight in 18-22 months. 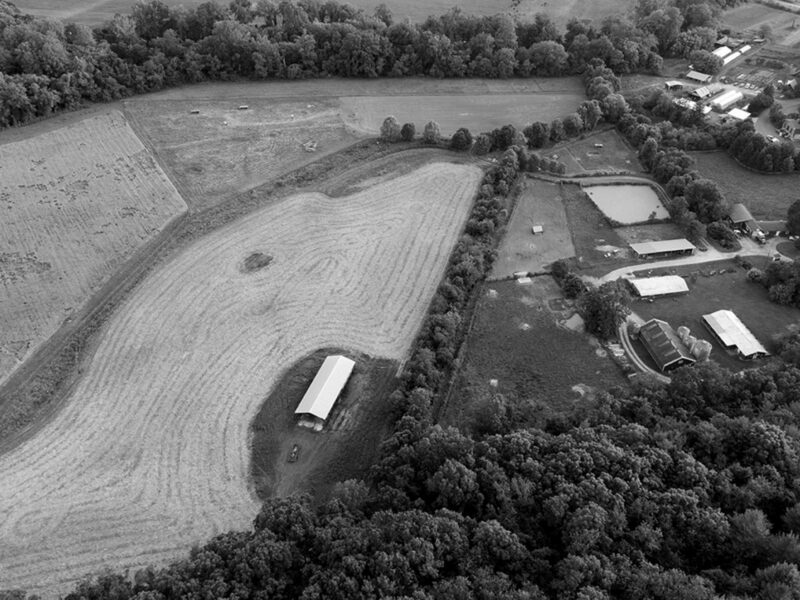 Any animals offered for sale have not received any grain, antibiotics, growth-promotants, or hormones.